Snow White, Cinderella, Pocahontas, Belle, Aurora, Ariel, and Jasmine (those last four are Beauty, Sleeping Beauty, the Little Mermaid, and Aladdin for you non-parents or those, well, living under a rock), and now, Giselle. Sure, you don’t recognize the name yet, but the Disney merchandising behemoth is hoping you will recognize it and want to buy all sorts of stuff with that name on it really, really soon. Here is the, in my opinion, slightly vampire goth-esque movie poster, from Cinematical.com. This sounds a little too much like a commercial Disney-fied blend of “Cool World” and “Who Framed Roger Rabbit?” to me, but hey, I’m all for more “happily every after” fun – and Disney needs some sort of fairy tale hit that doesn’t involve the adventures of Cinderella’s great-grandchildren. [Amy Adams is] creating a character specifically engineered to become a ”Disney Princess” superstar, up there with previous royals like Aurora (Sleeping Beauty), Belle (Beauty and the Beast), Ariel (The Little Mermaid), and Jasmine (Aladdin). Showcased in Enchanted like a product in an infomercial, Giselle’s voice, looks, mannerisms, and personality will be endlessly replicated by performers at Disney theme parks across the globe. Her likeness will also grace an avalanche of Disney Princess tie-in products — everything from pocketbooks to sippy cups to dress-up costumes. Sound like overkill? Not from where Disney’s sitting. According to Disney, the Disney Princesses line accounted for $3 billion in retail sales worldwide in 2006. That’s right, THREE BILLION dollars in sales in one year alone. 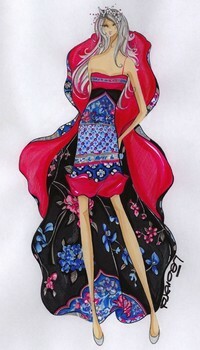 The Disney Princesses have even expanded into couture. Kirstie Kelly has created a line of bridal gowns based on the princesses, so that now you can really feel like a princess on your wedding day – walking down the aisle outfitted in a dress inspired by Belle’s ballroom gown in Beauty and the Beast. Go here to see more images of the designs. For more on the event (in French, but hey, it’s never too late to learn another language! ), go here. It also includes a video on the event. The gowns will be sold in November to benefit charity. 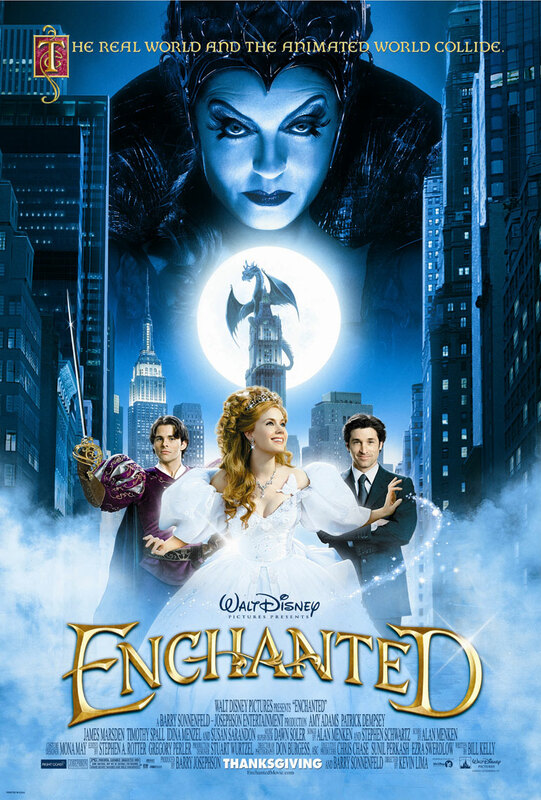 For information on Disney’s Become an “Enchanted” character website, click here. This entry was posted on Thursday, August 30th, 2007 at 4:12 pm and is filed under animation, classics, Disney, Enchanted, fantasy, Movies, romance. You can follow any responses to this entry through the RSS 2.0 feed. You can leave a response, or trackback from your own site. 9 Responses to New Disney Princess? OMG! Did you know, that Adam used to have his nails designed? Yes! Finally something about med spa.